On completion of this section you will possess the knowledge to differentiate inflammatory arthritis, mechanical or degenerative arthritis, and chronic pain conditions like fibromyalgia. In this module we'll explore features that can help you determine if a patient has an inflammatory, degenerative, or chronic pain condition. 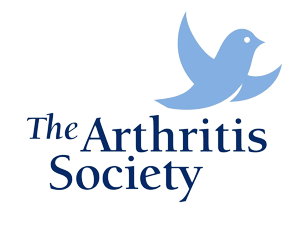 In this module we'll start to build your cognitive framework about rheumatoid arthritis. The goal is to get you to really understand the presentation of rheumatoid arthritis. Once you know this it becomes easier to identify those patients with and without RA but it does take some time and practice. This module will provide some basic fundamentals of rheumatology - a must for everyone! In this module we'll continue to build your cognitive framework about arthritis but this time osteoarthritis. The goal is to get you to really understand the presentation of osteoarthritis. Then you'll really have a good base to compare the presentations of degenerative and inflammatory conditions. In this module we'll continue to build your cognitive framework about rheumatology but this time fibromyalgia. The goal is to get you to really understand the presentation of fibromyalgia as it can easily be confused with an inflammatory condition. Then you'll really have a good base to compare the presentations of degenerative, inflammatory, and chronic pain conditions. In this module we'll turn our attention to the patterns of joint involvement of inflammatory versus primary degenerative conditions. This is a very good module (I know because I wrote it) and it is an important (even fundamental) concept in rheumatology. In this module we're going to focus your attention on the blood! Yes the bloody blood. We have to get you into the mind set that rheumatology has two components - a clinical one and a serologic one.